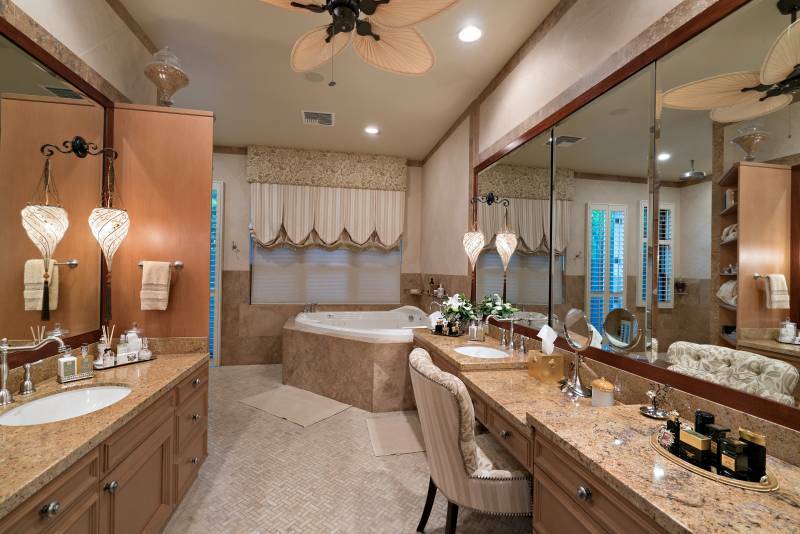 Custom built on 19,428 sq.ft. by Tim Gutierrez from Pyramid Premier Properties and custom interiors all delivered turn-key by Jonathon Barnett, “Decorator to the Stars.” Once through the custom gated front entry, you will be stunned by an unparalleled fusion of exquisite details, architecture, grand yet inviting interiors and expansive outdoor entertainment areas. 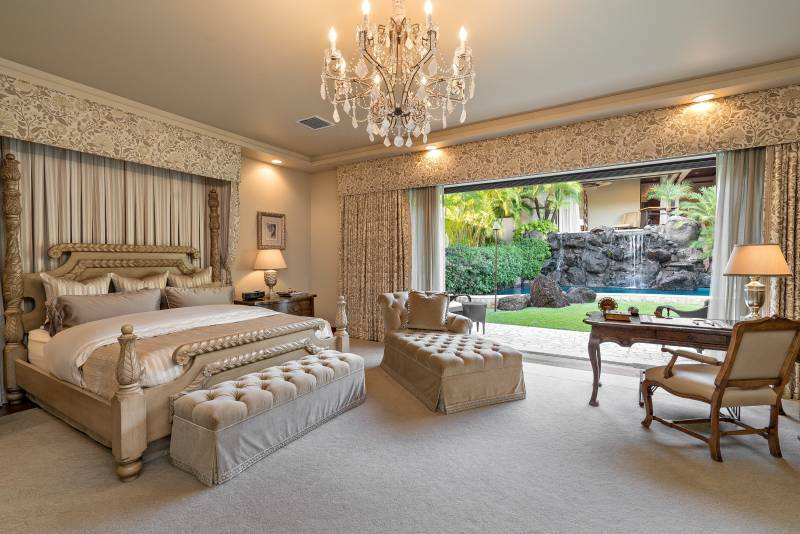 The property is arranged with a main residence featuring 3 bedrooms (2 master suites), and 3 ½ baths. 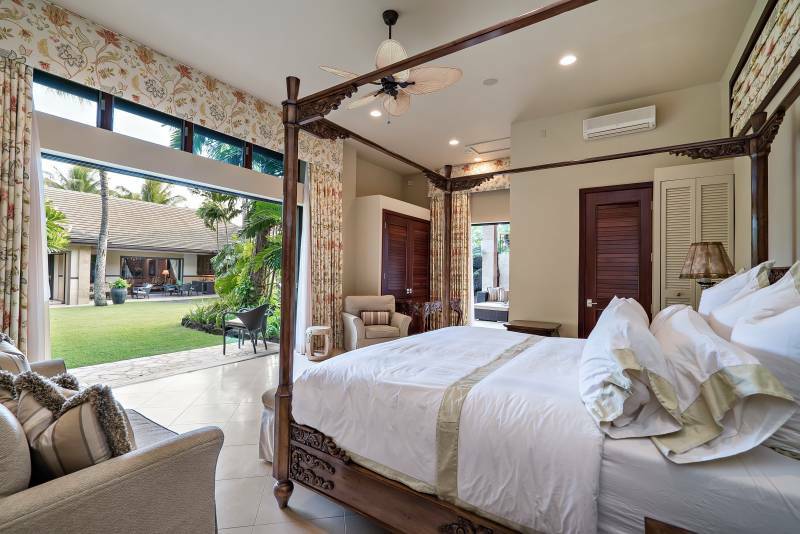 The poolside retreat guest house includes a series of 2 master guest suites separated by an outdoor covered kitchen/BBQ/media/entertainment area allowing for the simultaneous gathering of friends and loved ones. There is a place for everyone! 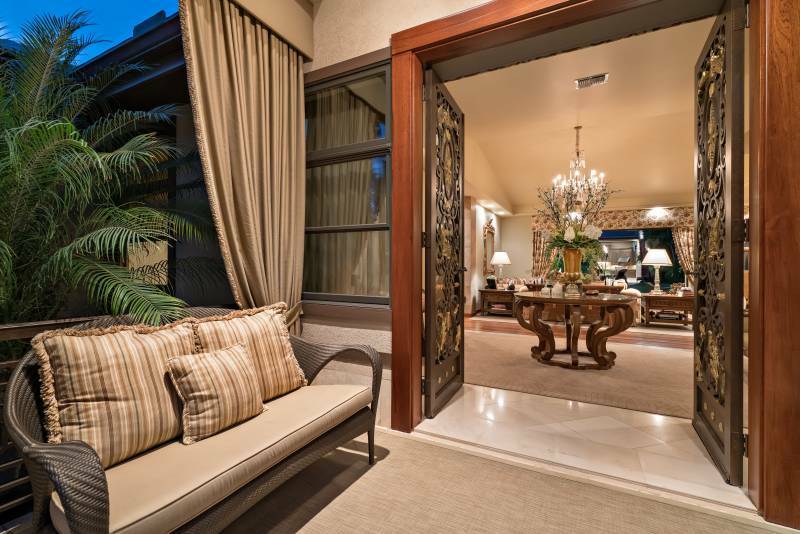 A welcoming foyer, high ceilings, and an impressive handcrafted front door finished in antique bronze paint and 23K gold leaf motif in the scroll work. 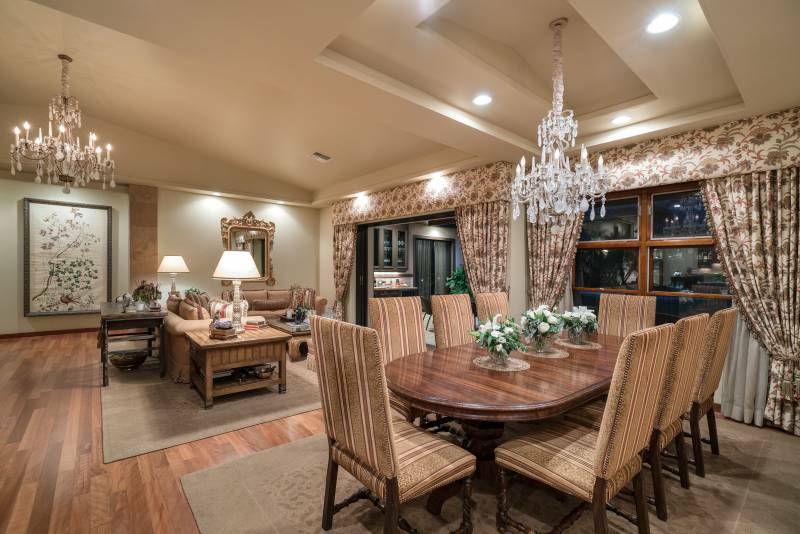 The formal living room features high ceilings with designer furnishings, quality finishes of Australian Brushbox hardwood flooring, and custom handmade silk drapes with fabrics imported from Italy and Paris. The continuation of the beautiful Australian Brushbox hardwood flooring blends the integrity of the formal dining and living room, creating a gracious, cohesive entertaining space. 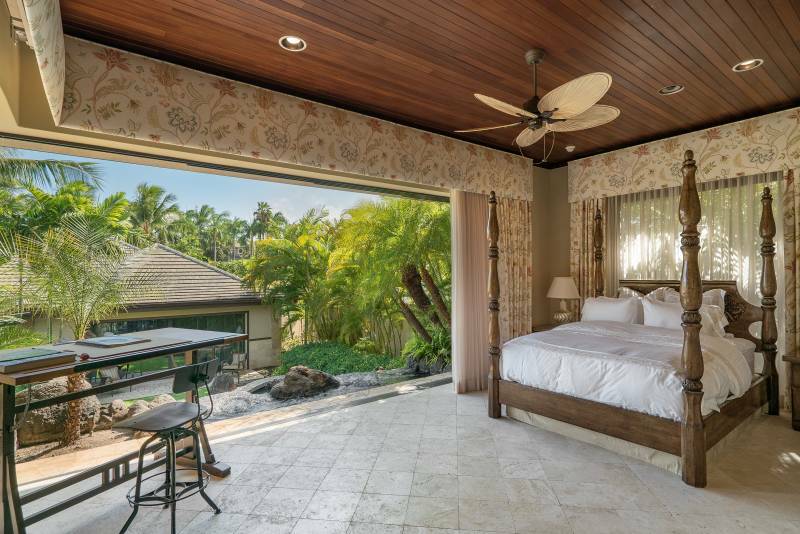 Large master suite with custom dual closets opens to a private patio space with views and sounds from your salt water pool, lava rock waterfall, and spa. 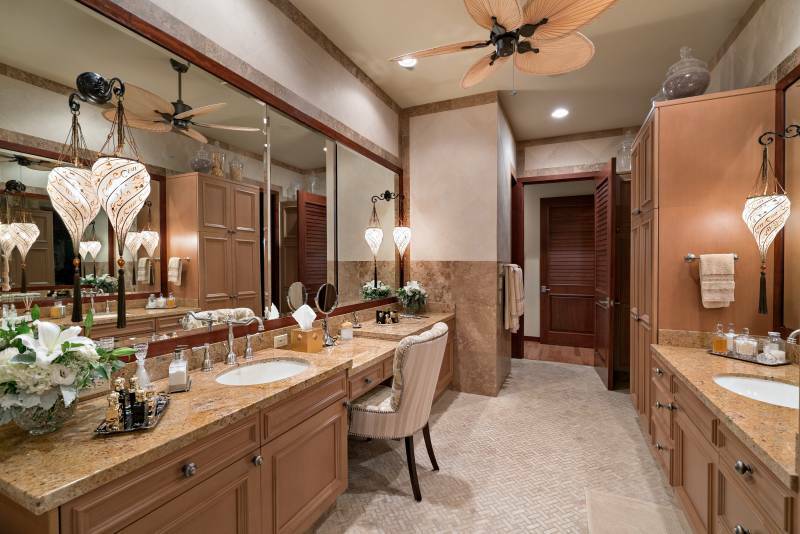 Beautifully appointed master bath with huge jacuzzi tub, granite countertops, tumbled travertine flooring, large makeup vanity area, huge walk-in rain shower, and Fortuny sconces handcrafted from Venice, Italy. 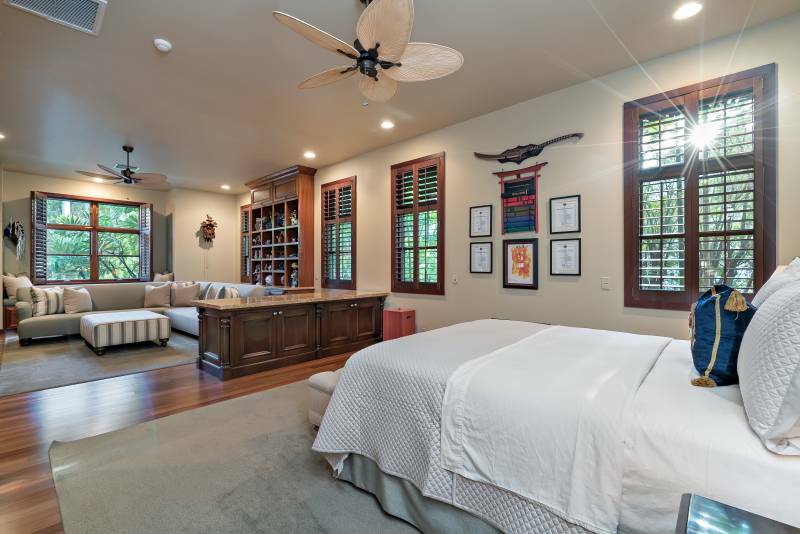 The second master suite includes a large sitting area and custom African mahogany built-in shelving. The guest house including two master suites is fully contained with split Fujitsu A/C systems, Bosch washer/dryer, and separated by an open-air oasis with a full outside kitchen with Sub-Zero refrigerator, Viking dishwasher, and Wolf gas grill. Ideal for large gatherings! 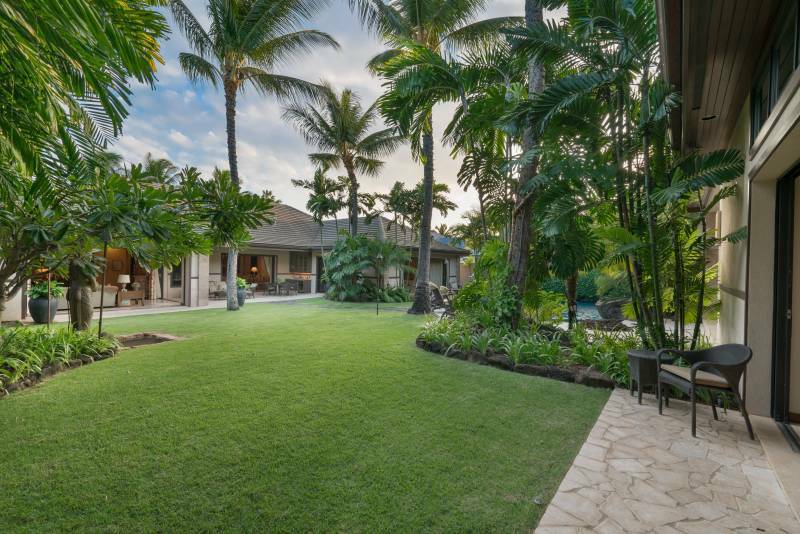 Meticulously landscaped for privacy, a beautiful lawn separates the main house from the guest house providing privacy and comfort. 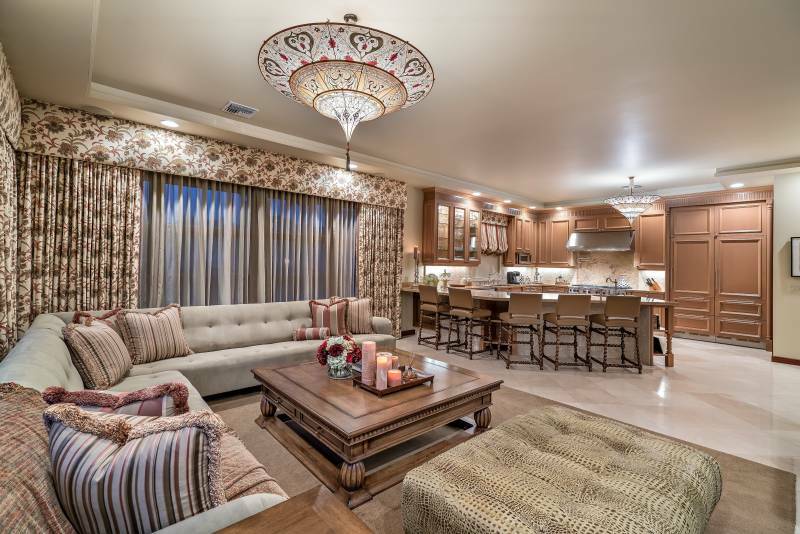 The state-of-the-art kitchen opens to a large inviting breakfast bar leading to the gracious family room, dedicated office, and surrounding spaces are complemented by the property’s entertainment options including home theater/media room, salt water pool with lava rock waterfall and spa, outdoor kitchen/BBQ/media/entertainment area, and outdoor dining patio with adjacent bar. 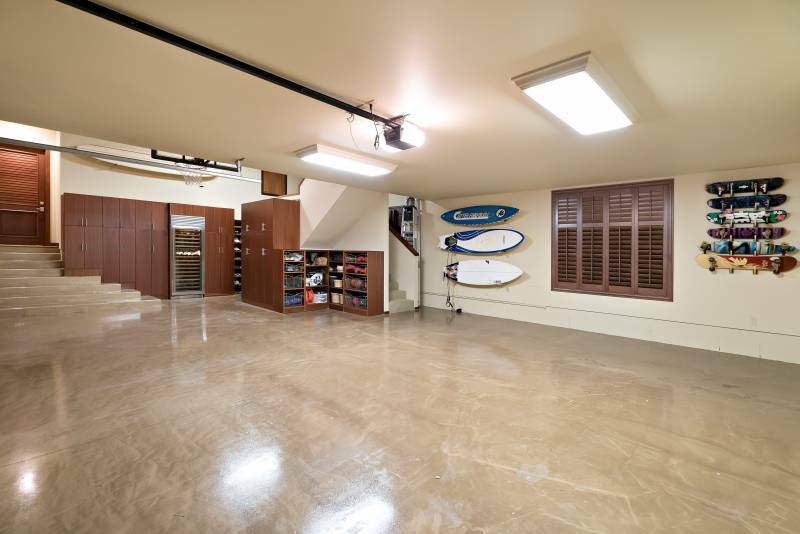 Meticulous 3 car garage including custom storage and subzero 120 bottle wine cooler, bonus room, and generator with the capacity to operate the entire home (electricity, A/C, TV’s, etc.). A truly one-of-a-kind property! 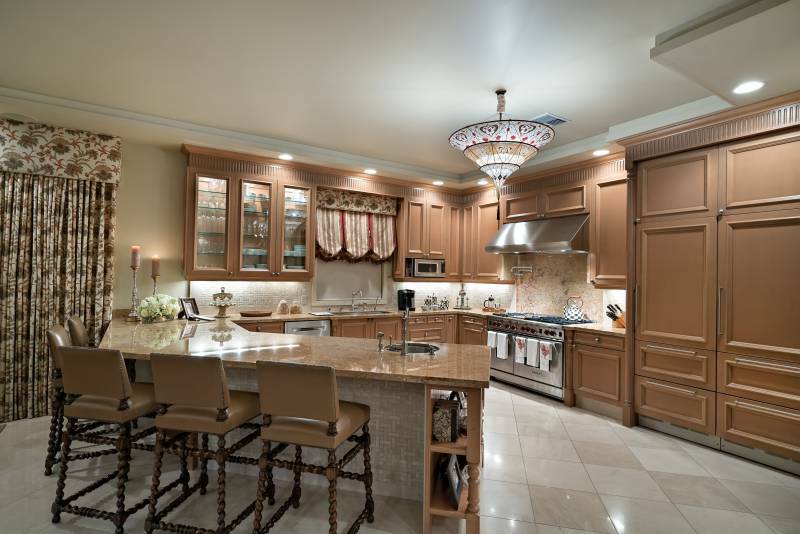 The spacious granite and limestone-clad gourmet kitchen opens to a large inviting breakfast bar and leads to a gracious family room and office. Top amenities include two prep stations, top-of-the-line Wolf and Sub-Zero appliances and custom Downsview cabinetry from Canada. 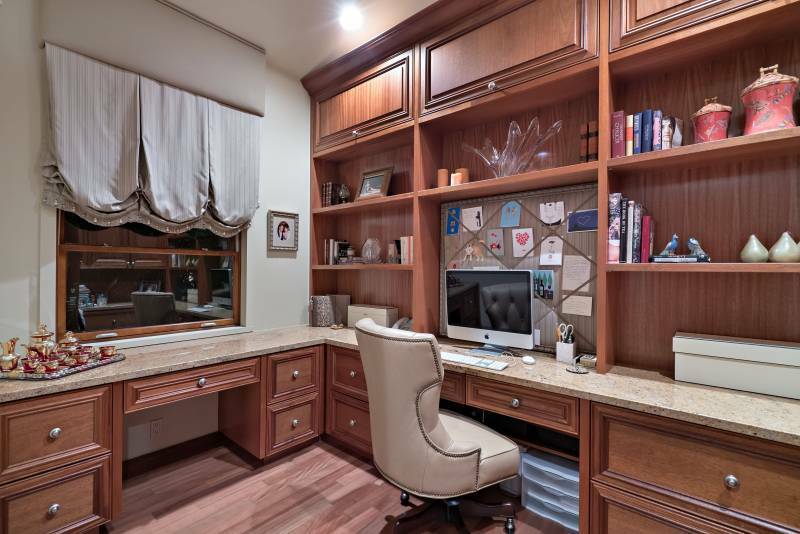 Dedicated office located off the kitchen and the family room, features built-in desks and African mahogany shelving. 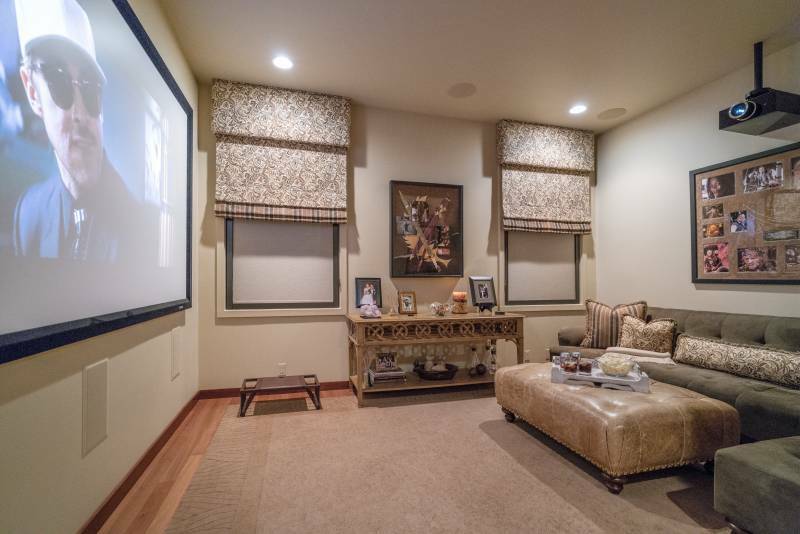 State-of-the-art media room commanding all the bells and whistles. 1,092 sq.ft. 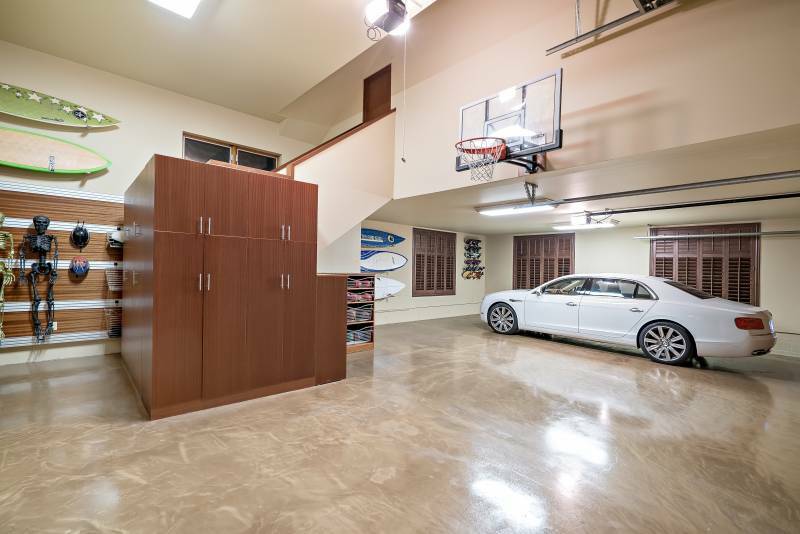 3-car garage features a custom African mahogany storage systems and Sub-Zero 120 bottle wine cooler. The bonus room complete with split Fujitsu A/C, cable and phone is located above the garage. Ideal space for an office, yoga studio or gym. Additional parking in secure, private gated courtyard. Spectacular view of the pool from the top level guest suite. 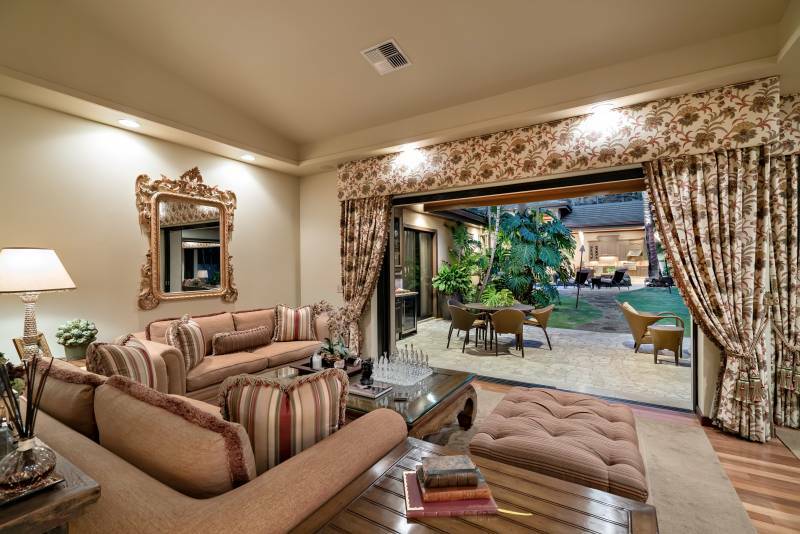 This home sets a new standard for indoor/outdoor luxury island living! 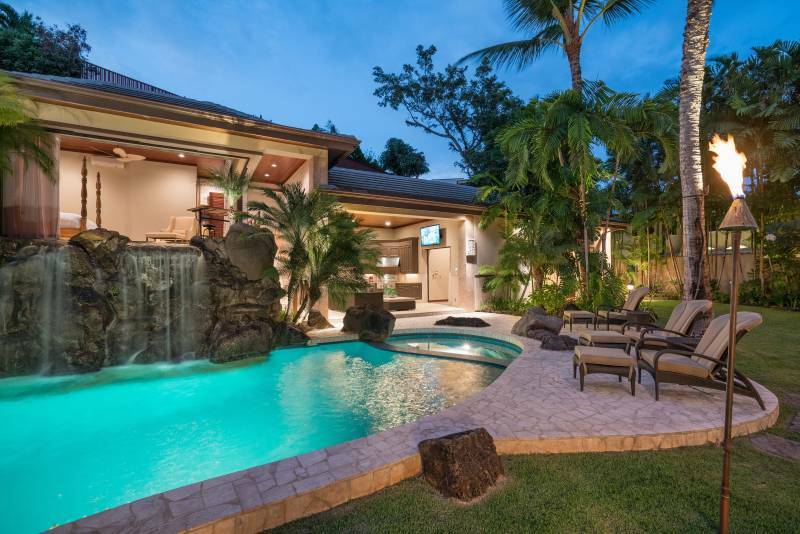 No detail has been overlooked to transform this notable single level Kahala property into a five-star home for everyday living and entertaining. 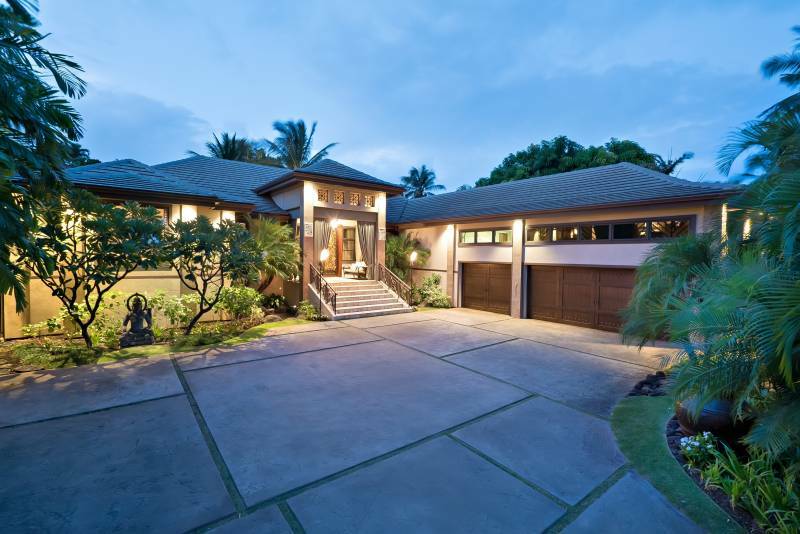 Conveniently located near the ocean, the Kahala Hotel & Resort for dining and spa services, Waialae Country Club home of the PGA Sony Open Golf Tournament, Diamond Head, Waikiki, and minutes to Kahala Mall. 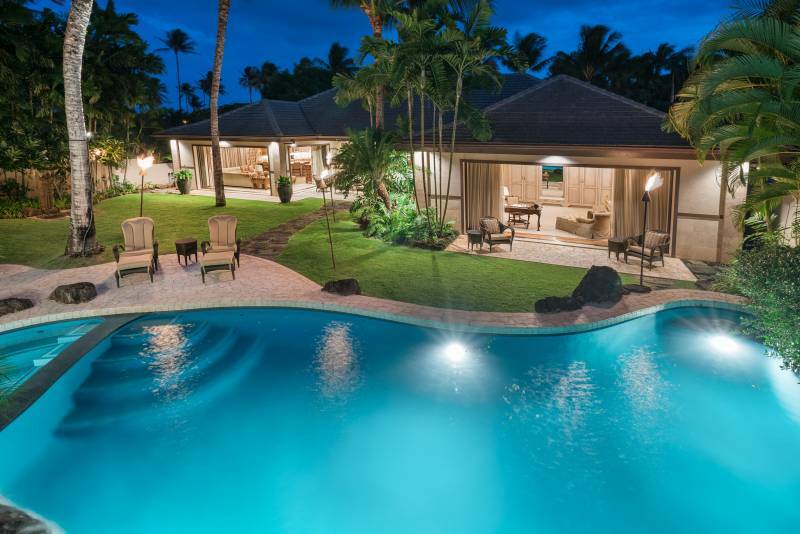 Kahala is an iconic neighborhood a name known to real estate buyers worldwide. Sara Beth Cutter is a REALTOR-ASSOCIATE, ABR, GRI, SRES with Hawai'i Life. You can email me at	SaraCutter@HawaiiLife.com	or via phone at (808) 990-6200.